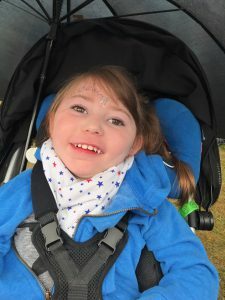 Maddie’s family where fundraising £21,000 for an Innerwalk to enable Maddie to get about, and be more mobile. We are pleased to say, Maddie’s team have succeeded and her target was hit. Maddie’s Innerwalk has now been ordered and is on its way to Maddie. We we like to say a huge Thank You and Well done to everyone involved.